Dontsov, Dmytro [Дмитро Донцов] – political theorist, writer; born on 29 August 1883 in Melitopol (Zaporizhzhia oblast, Ukraine; at that time – Tavria [Taurida] gubernia, Russian Empire); died on 30 March 1973 in Montreal, Quebec, Canada; buried in St Andrew’s Ukrainian Cemetery in South Bound Brook, New Jersey, USA. Dontsov studied law at the universities of Saint Petersburg (to 1907), Vienna (1909-1911) and Lviv (graduated in 1917). He was a leading figure in the Ukrainian Social Democratic Workers Party (until the outbreak of the First World War) and, briefly, the first head of the Union for the Liberation of Ukraine (1914). He subsequently headed the Ukrainian Information Service in Berlin (1914-1916), Bureau of Nationalities of Russia in Bern (1916-1917), Ukrainian Telegraphic Agency in Kyiv (1918), and the press and information department of the diplomatic mission of the Ukrainian People’s Republic in Bern (1919-1921). From 1922 to 1939 he lived in Lviv, where he was editor of the Zahrava newspaper (1923-1924) and the journals Literaturno-naukovyi vistnyk (1922-1932) and Vistnyk (1933-1939), and also wrote several books. During this period he became a leading theorist of Ukrainian nationalism. At the beginning of the Second World War Dontsov was arrested by the Polish authorities. Released after the fall of Poland, he lived in Danzig (now Gdańsk), Berlin, Bucharest and Prague. At the end of the war, to avoid capture by Soviet forces, he left Prague for the American Zone of Occupation of Germany, then, towards the end of 1945, moved to Paris. 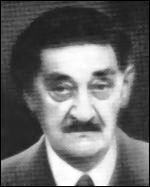 Since he was still in danger of capture by the Soviet authorities, early in 1946 he secretly crossed to the United Kingdom, with the assistance of Stanley Frolick, secretary of the Central Ukrainian Relief Bureau (CURB), and found accommodation in London. For several months he assisted with the work of the Ukrainian Information Service, which operated from the CURB premises. In 1947 he worked in the editorial office of the Ukrainskyi Klych weekly newspaper (published from August 1947 to March 1948 by the Organisation of Ukrainian Nationalists [Banderivtsi] in Great Britain), and contributed to almost every issue of the newspaper. Towards the end of 1947 he left for the United States, and then Canada, where he settled. In 1949-1952 he lectured on Ukrainian literature at the University of Montreal. In later years he spent most of his time writing books and articles for various Ukrainian émigré periodicals, including the London-based periodicals Ukrainska Dumka, Vyzvolnyi Shliakh and The Ukrainian Review.